Do you have a deep seated desire to feast on human flesh? Would you like to become a part of a dead and decaying world? 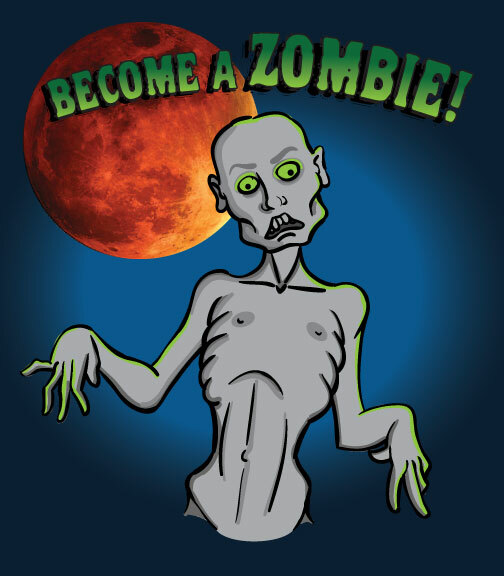 Then send an audio file to Dead World Jorunal (aardor1@hotmail.com) and become the zombie of your nightmares! Simply growl, moan and grunt into your mic using your favorite audio program and then send that file to me. Don't worry about effects or filters I'll take care of those little details. You just focus on being your zombie best. 30 seconds to a minute of nightmarish zombie moans are all I need. My zombies don't talk so no recognizable words please. and a pound of decaying maggot ridden flesh! Ahhhhhh! Don't have an audio program? Get one free here! Don't have a mic? Well then you're screwed. Those things cost money. Then just listen to the show and wait for your big cameo appearance. When I use your audio I will email you to let you know what show you'll be a part of. Bore the tears out of your friends and family by constantly bragging about your tiny contribution to the awe inspiring podiosphere. Make sure to include in the audio file the phrase,"I give Dead World Journal permission to use this audio," before or after your zombie moans. Thanks and happy nightmares!